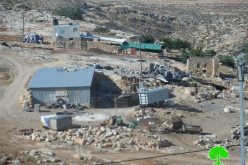 Israeli Occupation Forces accompanied by a staff from Israel Civil Administration raided on November 15, 2016 Al-Maa'zi Bedouin community, north Jaba' town and confiscated some residential and agricultural barracks gifted from ACTED organization to shelter the families affected by previous demolition operations. It should be marked that the confiscation operation occurred without previous warning or notices. 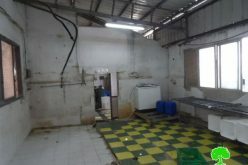 Israeli Occupation Forces arrived at the location and ordered owners of immediate evacuation before the soldiers dismantled the barracks and then confiscated them. 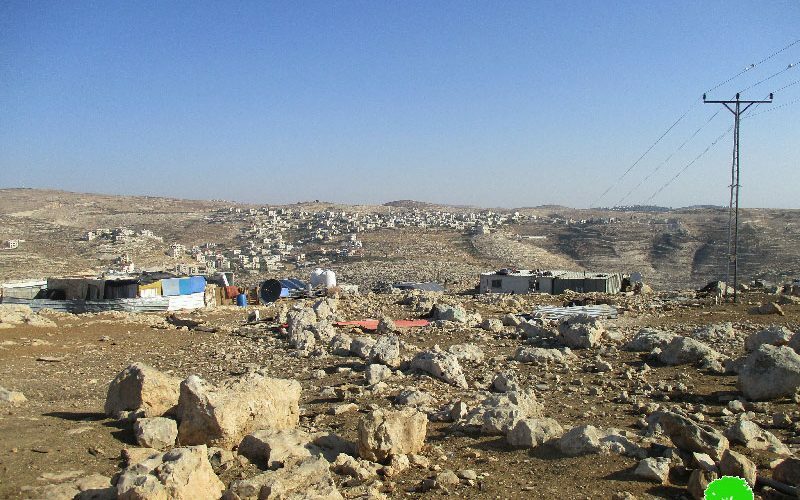 The Bedouin people residing in the area of northern Jaba’ town are reported to be there since 30 years ago and never been attacked or targeted before. 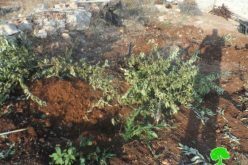 In 2013, the Israeli occupation authorities started a series of harassments and attacks on the area, targeting residents and their properties as well. 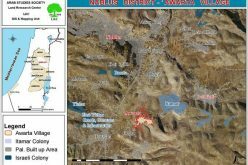 The residents of this area hail from Negev but were displaced in the aftermath of the 1948 war to the areas of Palestinian Jordan Valley (Al-Ghoor). 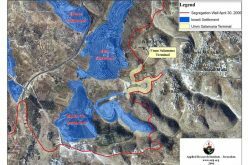 Now, the occupation is working so hard to empty the areas of Al-Ghoor to serve colonial expansion plans. 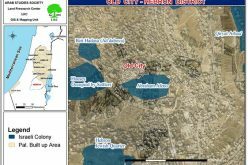 It is located on lands from Jaba’ town in east Jerusalem. The community is bounded by the bypass road no. 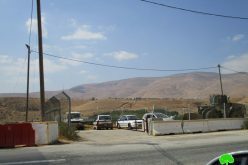 458 from the east, bypass road no.60 from the west, Adam colony from the south and Shei’r Benyamin colony from the north. The community accommodates 8 Bedouin families including 60 members since 1974.